This month, SCCM 1610 was released with a bunch of new features, including exiting Intune features. One of these Intune feature is to send sync request directly from the SCCM console. It’s a new remote actions that Intune administrators will use daily. For example, you can send sync request to a mobile device that is having deployment or client health issue. In fact, each mobile devices managed by Intune need to communicate with Intune to get the latest policy and compliance state. 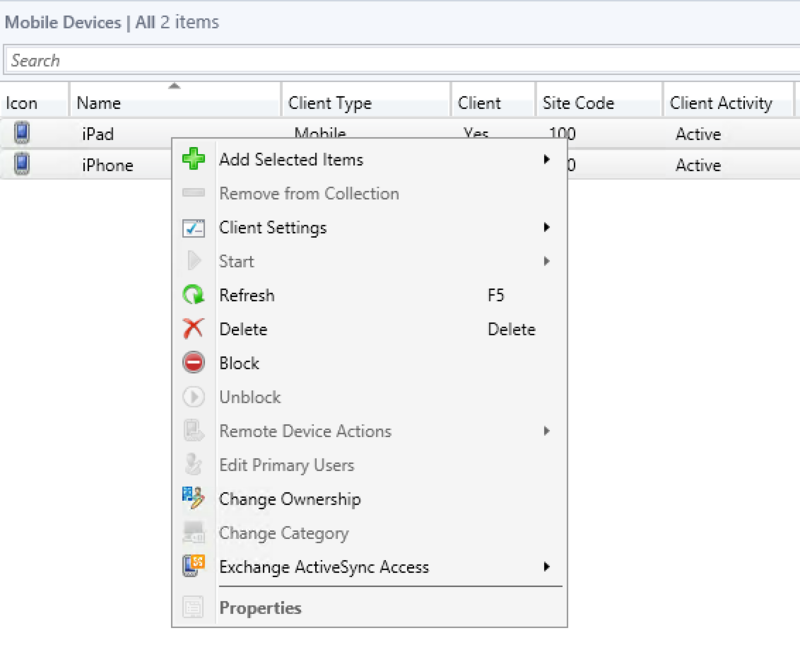 Normally, the Intune client synchronizes every 6 hours for iOS and 8 hours for Android. Additionally, there’s a scan every 15 minutes in the first 6 hours of enrollment. The mobile device can be synchronized as well from the Company Portal application. 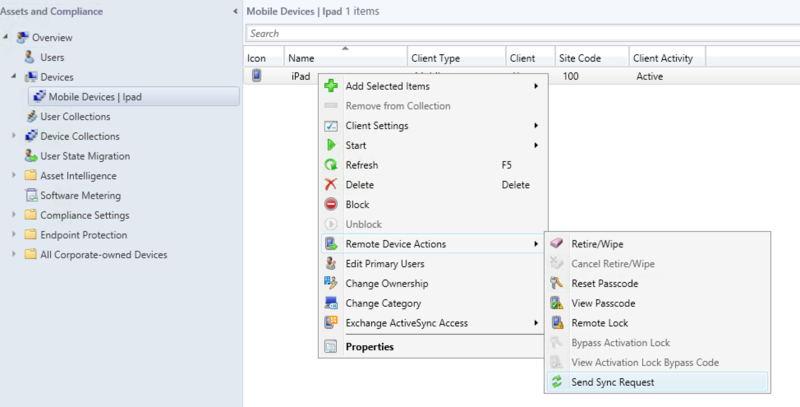 Take note that Send Sync Request is unavailable for the moment in Intune standalone. Maybe one day! 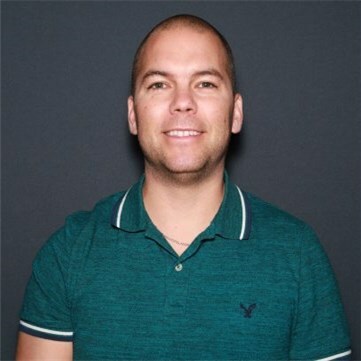 There’s no confirmation window or message when you send sync request with the console and it takes approximately 10-15 seconds before the mobile device begin synchronization. You can monitor DMPUploader.log on the SCCM server to confirm if the send sync request succeed. There’s also no possibility to send sync request to multiple mobile devices at the same time, as for any Remote Device Actions. Don’t be too rough with the send sync request action with the same device, otherwise you will get a message that the sync request temporarily disabled. There’s a 5 minutes grace period before you can resend sync request to the same device. Make sure to upgrade your SCCM current branch version to 1610 before using this new feature. 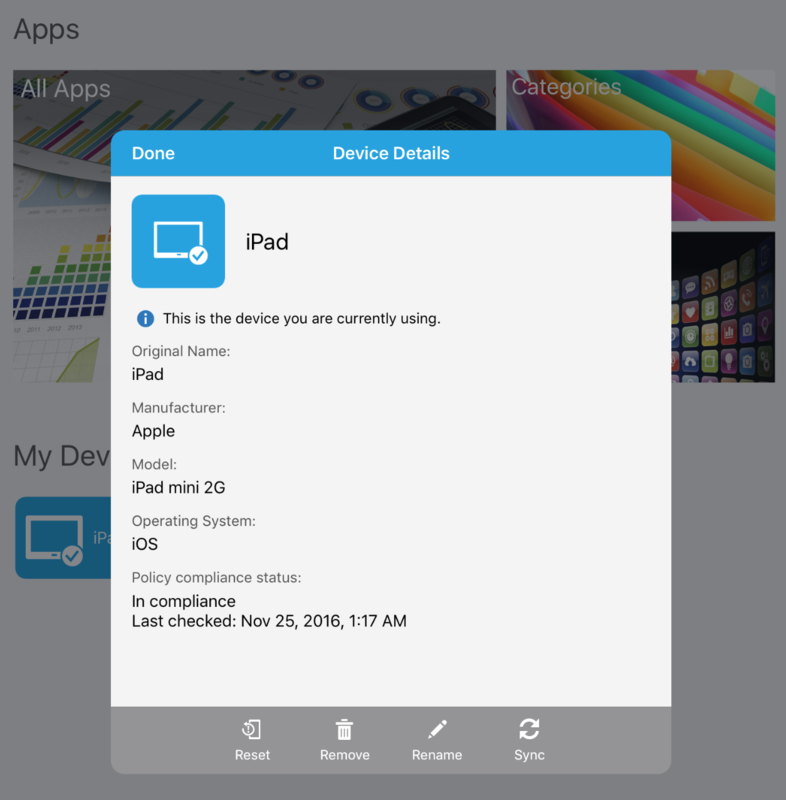 The collection Mobile Devices | iPad used in this post, is a collection from our set of operational SCCM collections. Are you using SCCM 1610 send sync request feature? What are the situations in which you use it?